Gorgeous with synchronized pose and detail, Kasra! What a wonderful duo- just gorgeous! A unique and exciting shot. Well focused and synchronised poses,like the painterly bg too,excellent shot. 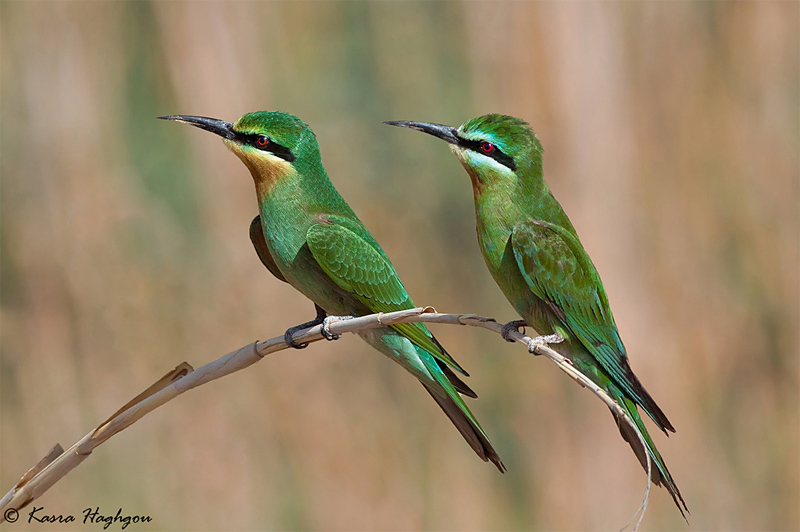 Very nice shot of this Bee-eater couple. I agree. What a beautiful pair you have captured, Kasra. Beautiful birds with wonderful symmetry. Superb colour and detail in the soft light, Kasra! Kasra, Good job handling the bright sunlight. Beautiful set of birds. Stunning birds, perch, BG & details all look great, top shot Kasra.